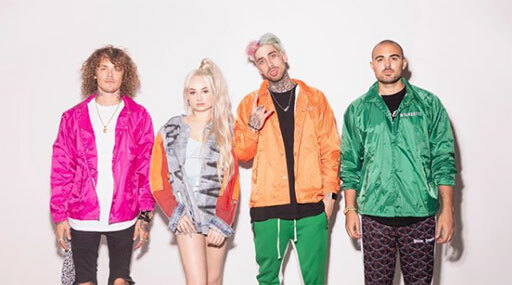 The Randy Report: Out Music: Kim Petras & Cheat Codes "Feeling Of Falling"
Out Music: Kim Petras & Cheat Codes "Feeling Of Falling"
Out singer/songwriter Kim Petras teams with electronic DJ trio Cheat Codes on her latest single, "Feeling of Falling." Totally danceable, the bop's lyrics explore the fear of falling in love after a difficult breakup. "'Feeling of Falling' is a song about ending up brokenhearted and trying to stay away from love to protect yourself," Petras shared with PAPER. "I'm the biggest emo, so I really connected to this song. Cheat Codes are amazing, and I've had the best time collaborating on this one." And Cheat Codes recently told Billboard, "The feeling of falling in love is great but it's hard not to think about or compare it to past experiences of heartbreak. It puts you in a really vulnerable place. It can be the best thing but also the worst."